The report thinks that one of the most appalling consequnces of the policy shift "is the case of Vedanta Resources Plc, a company that benefitted from the removal of environmental safeguards and was able to operate a damaging copper smelter within the city limits of Thoothukudi in Tamil Nadu — a mere 8.4 miles away from the ecologically fragile Gulf of Mannar Biosphere reserve." "Not only has the smelter been responsible for massive environmental destruction, it was the site of a massacre of 13 activists protesting its expansion in May 2018", the the report underlines, regretting, "Today, efforts to se￾cure the Bank’s vote of confidence in India’s investment climate are driving major policy changes at both the national and state levels." It adds, "Using the federal structure, the Indian government has now fostered a predatory race nationwide, with states destructively having to compete against one another to be more attractive to businesses and investors." 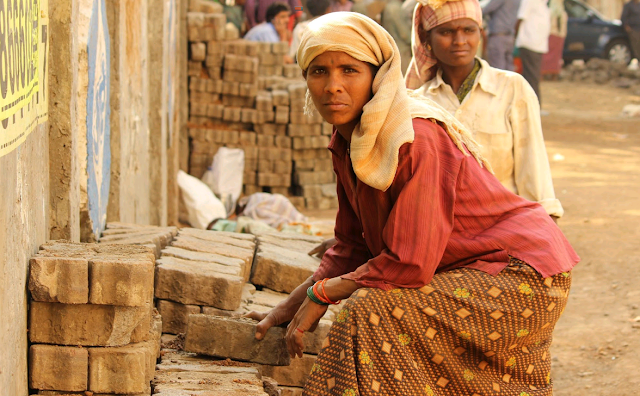 For years, India’s strong labor laws – that covered issues ranging from welfare, pensions, employment conditions, industrial relations, and social security – rankled the World Bank. The first edition of the DB report in 2004 pointed to India’s labor protections as an example of undesirable regulatory practice that made insolvency difficult and contributed to increasing unemployment and the informalization of workers. However, working drafts of the Bank’s 2019 World Development Report reveal a push for labor market deregulation proposing lowered minimum wages, more zero-hour contracts, and flexible dismissal rules. India, too, has proven itself adept at this double-speak using its constant refrain of job growth to cover its attempts to deregulate the labor market. As troubling as it is telling, anti-worker reforms and their implementation across state labor departments seem driven by the Department of Industrial Policy and Promotion (DIPP), instead of the Union Labor Ministry. Furthermore, the rationale for much labor reform – both at the state and country level – draws upon the logic of the Doing Business Index rather than the recommendations of the ILO. In his national budget speech for 2017, the Union Finance Minister highlighted the need to simplify and streamline labor laws in order to improve India’s DB ranking. Forty pre-existing nuanced labor laws have been reductively re-categorized under four broad codes that dwell on wages, industrial relations, social security and welfare, and workers’ safety and working conditions. There is also a continued trend of vilifying and undermining inspection systems. The problem of infrequent inspection is further compounded with increasing self-certifications. To support the government’s flagship “Start-up India” initiative, the Labor Ministry has allowed self-certified start-ups to be exempted from nine labor laws in their first year. In violation of ILO norms and under the pretext of doing away with an overly intrusive inspection regime, these companies are permitted to self-certify in six major laws for up to three years without any inspection, except in the case of a complaint. Soon after the release of the Bank’s Global Economic Prospects Report in 2017 that once again criticized India’s labor protections, the central government made repeated attempts to dilute its pro-worker laws. The renewed effort in 2017 to undermine the Indian Factories Act, safeguarding working conditions of factory workers, is one such example. By doubling the threshold of workers employed to legally constitute a factory, amendments to this act potentially affect almost 70 percent of India’s factories. Similar attempts to increase labor flexibility have included efforts to weaken historic labor laws like the Industrial Disputes Act and the Contract Labor Act that protect workers against layoffs, sudden closures, retrenchments, and unwarranted changes in the working conditions. As demonstrated by the Labor Ministry’s Industrial Employment Central (Amendment) Rules 2018, there is a heavy emphasis on increasing fixed￾term contracts that enable companies to hire workers for short-term assignments and terminate services on the completion of projects. Despite the vehement dissent voiced by India’s main trade unions, a draft notification issued by the Labor Ministry in March 2018 extended the facility of hiring workers on fixed-term employment to all sectors. This entailed amending the Industrial Establishment (Standing Order) 1946, which earlier provided this facility only to the apparel-manufacturing sector. Projecting the need for fixed-term contracts as a win-win solution to the dual goals of job growth and an enabling business environment ignores the enhanced precarity of labor market flexibility. Consequently, fewer workers are vulnerable to improperly regulated and inspected work environments, as well as have limited access to permanent employee social benefit. Even as these controversial labor reforms have been implemented to facilitate the ease of doing business, the DB Report distances itself from them by portraying the increase in the duration of paid maternity leave as the most significant labor reform.